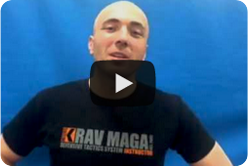 The Institute of Krav Maga UK Instructor Team teach over 20 Krav Maga classes a week. They all attend regular intensive training with the most professional Krav Maga organisations in the world along side weekly institute instructor training sessions. Our instructor team also train with leading experts from other martial arts and combat sports. Our aim is provide you with a highly trained and friendly team of instructors to guide you in learning Krav Maga. Each member of our instructor’s team has graded (at least once) under the watchful eyes of Gabi Noah, Amnon Darsa, Tamir Gilat, Zeev Cohen, Ilya Dunsky, Tal Kvores, Tommy Bloom and Eyal Yanilov.